Vintage Norton Motorcycles: Use them! 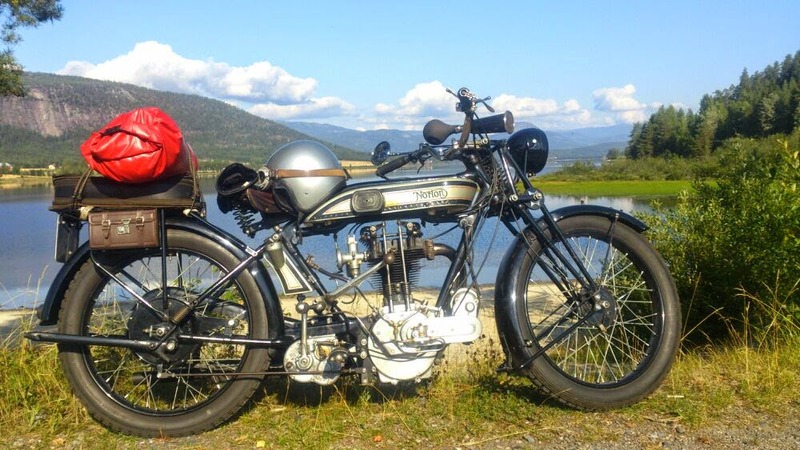 -Svein in Norway- Here is my 1926 Model 18 and I also like to use it. This photo is from a weekend trip to the excellent Lucas Rally at Evje near Kristiansand this year. My Model 18 was the oldest bike around and it was excellent that weekend with around 780 km on the clock when I returned home.